People often generically use the term mortgage to refer to the whole system of borrowing money to buy property, but there are two slightly different legal systems actually in use throughout the United States for this purpose. Some states use what is technically called a mortgage to make sure the lender can recover the property if the borrower doesn't pay, and some use a deed of trust. Different states allow two different legal documents called a mortgage and a deed of trust to back a home loan and allow foreclosure, and some allow both. 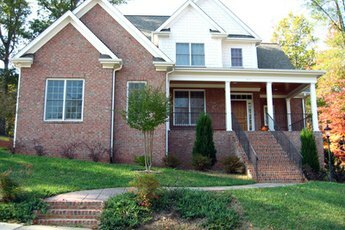 A big difference between a mortgage and a deed of trust is that foreclosure can be easier with a deed of trust. People often borrow money from a bank or another lender to buy real estate, agreeing to pay part of the purchase price back over years, plus interest. The loan is colloquially called a mortgage, and you may hear people talking about adjustable rate mortgages where interest rates fluctuate, fixed-rate mortgages where they stay the same and other types of mortgages. But in certain legal terminology, the word mortgage has a slightly narrower definition. It specifically refers to a document that gives the lender a legal interest in the property. This lets the lender recover if you fail to pay according to the terms of the loan agreement. Generally, the lender can do this by going to a court to foreclose on the mortgage. In that case, if you don't quickly pay the balance, the court can order the property sold or transferred to the lender to pay off the loan balance. A usually separate document called a mortgage note specifies the particular terms of the loan, such as how many payments must be made, how interest is determined and so on. As with any legal document you should make sure you understand the terms of your home loan before signing the documents, consulting with a lawyer or other advisor as needed. The mortgage document form varies slightly from state-to-state since real estate transactions are primarily governed by state, not federal, law. 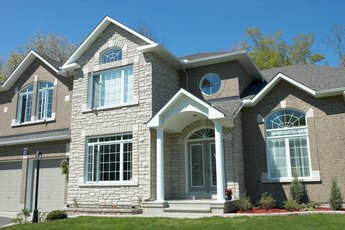 Generally the mortgage is filed at a local property records office, usually run by your city or county government, alongside other documents indicating who has an interest in property within the jurisdiction. These documents are public records and can be viewed in person and, in some jurisdictions, online. When the loan is paid off, another document is filed indicating that the lender no longer has an interest in the property. 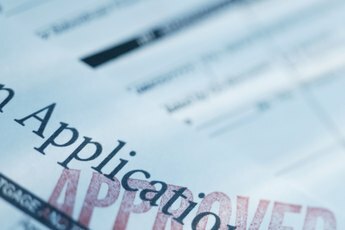 The lender is generally required to file this document known as the satisfaction of mortgage, and it's a good idea to make sure the lender does so when your loan is paid off. Otherwise, you may need to chase the lender or whatever company has acquired it in the interim when you attempt to sell the property later on. If you buy or sell a property, generally a title insurance company will check to make sure all the ownership documents are in order relating to the property in question. Deeds of trust are distinct from mortgages, but they're also used to make sure a lender can recover a property in the event you cease to pay your loan in accordance with your agreement. A deed of trust is signed by the borrower, the lender and a third-party entity called a trustee. In states with deeds of trust, there are title companies specifically set up to serve as trustees. The trustee either holds title to the property or holds a lien on it until the loan is paid off. The trustor in real estate terms is usually the homeowner, who is pledging the land to the trustee. If you stop paying the loan, the deed of trust usually gives the trustee the right to foreclosure on the property and sell it on behalf of the lender. The legal language authorizing this is typically known as a power-of-sale clause. This means that deed of trust states usually don't require lenders to go to court to conduct a foreclosure, which can mean faster foreclosures for people who default on their home loans. Some lenders prefer to use deeds of trust rather than mortgages in states where both are viable options for this reason. Some states do allow nonjudicial foreclosures outside of the court system even for mortgages. 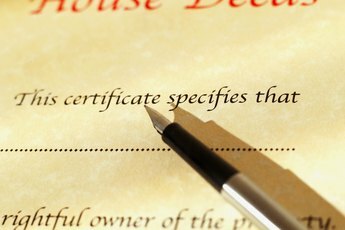 A deed of trust is usually signed and notarized, then filed at a local property records office similar to a mortgage. When the loan is paid off, the lender and trustee will file a document known as a deed of reconveyance formally documenting that the property is now owned in full by the borrower. A deed of reconveyance will also be filed as part of the sale process if the property is sold, paying off the loan. States using mortgages include New York, Massachusetts, South Carolina, Wisconsin and Michigan, among numerous others. States using deeds of trust include California, Alaska, Georgia, North Carolina and Virginia. Some states, including Texas, Illinois, Oklahoma, Oregon and Tennessee, allow either form to be used. Each state then has separate rules about how foreclosures can proceed, with some states offering faster sales generally for the benefit of lenders and some offering more delays and safeguards, generally to benefit borrowers. Foreclosures in the deed of trust states and others that allow nonjudicial foreclosures by design often don't end up in court, but like any other contract dispute, they can do so if either party brings suit. If the lender or trustee violates state foreclosure laws or forecloses in a way not allowed by the terms of the loan agreement, the borrower can sue, asking the court to block the foreclosure. Generally, this requires an experienced attorney, since the issues involved can hinge on technical real estate and legal terminology within state laws and loan agreements. In some cases, the parties may also be able to settle out of court to allow loan modifications, which may make it possible for the borrower to stay in the home while paying according to a new agreement. Or, it may allow short sales, which is letting the borrower sell the home for less than it is worth to satisfy the mortgage. These can be advantageous to lenders as well as borrowers since they don't have to go through the trouble of foreclosure and sale and can still get some funds paid toward the debt. The state of Colorado uses a distinct system from other states for handling deeds of trust. Instead of trustees being title companies or attorneys, they are public officials. There's generally one public trustee for each county in the state. When a foreclosure is filed, the public trustee is supposed to be a neutral party who assists both the lender and the borrower in the case. Advocates say the system keeps foreclosure costs down and helps balance the system between lenders, who are very familiar with foreclosure procedures, and borrowers who typically are not. The system was created after perceived abuses by lenders in the 1800s. The public trustee in each county holds deeds of trust and releases them when loans are paid off. The office also conducts foreclosure auctions as needed when loans go unpaid. RocketLawyer: Which States Allow Deeds of Trust? Nolo: What's the Difference Between a Mortgage and Deed of Trust?